Mitsubishi Electric has launched the latest in its free CPD-Accredited industry guides with a focus on Chiller technologies and role they can play in helping reduce both energy consumption and running costs in today’s buildings. Legislation such as the F-Gas regulations are forcing many businesses to spend time assessing their cooling systems and rising energy costs also find building owners looking for more energy efficient ways of heating and cooling their premises. 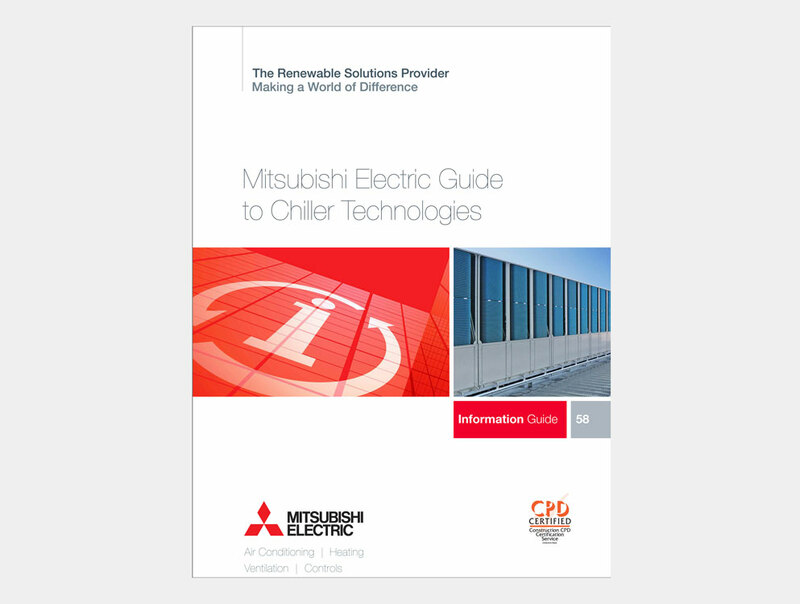 “We’ve prepared this guide as part of a series that looks to enhance the knowledge of anyone responsible for keeping buildings a pleasant place to live, work and play in,” explains Jason Tinsley, product manager for Central Plant. The free, independently written guide looks at the key issues facing the industry today and the increasing importance of legislation such as the revision of Part L, as well as regulations like Energy Performance Certificates (EPCs) and the new Energy Saving Opportunities Scheme (ESOS). These are designed to drive greater energy efficiencies in buildings and across businesses as a whole. A downloadable pdf version is available at the company’s dedicated digital library here.